Last week, the National Inventors Hall of Fame, in partnership with the United States Patent and Trademark Office (USPTO) announced the 2015 Hall of Fame inductees. These visionary inventors each patented inventions that revolutionized their industries and changed people’s lives. Of the fourteen new inductees, seven will be honored posthumously. The National Inventors Hall of Fame, located in the Madison Building on the USPTO campus in Alexandria, Virginia, was established in 1973 and honors monumental individuals who have contributed great technological and scientific achievements and helped stimulate growth for our nation and beyond. The criteria for induction into the National Inventors Hall of Fame requires candidates to hold a U.S. patent that has contributed significantly to the nation's welfare and the advancement of science and the useful arts. 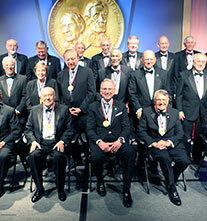 This year’s class of inductees includes Nobel Prize winner Shuji Nakamura, responsible for the blue light-emitting diode (LED) which enabled the white LED, and the blue laser diode; Jaap Haartsen, the inventor of Bluetooth® technology, now used in 2.7 billion devices and growing; George Alcorn, who furthered deep space exploration with his X-ray spectrometer; Kristina M. Johnson and Gary Sharp, pioneers in display technology related to rear projection television and 3D applications; duo Ioannis Yannas and John Burke, who have saved the lives of many burn victims with their invention of Artificial Skin; and Thomas Jennings, the first African American to receive a patent, who invented the precursor to modern dry cleaning. Watch this short National Inventors Hall of Fame video on the 2015 inductees. Both the new and previous inductees will be honored in a three-day event series. It will kick off with a illumination ceremony at the USPTO campus in Alexandria, Virginia on May 11th, followed by the National Inventors Hall of Fame Induction Ceremony on May 12 at the American Art Museum and National Portrait Gallery, and a panel discussion on May 13th presented with the Lemelson Center for the Study of Invention and Innovation at the National Museum of American History. The National Inventors Hall of Fame Induction Ceremony will be emceed by CBS News correspondent and television personality Mo Rocca. Did you know the U.S. Patent and Trademark Office plays an important role in getting biotechnology and pharmaceutical products to market? Biotech and pharma are major areas of patenting for the USPTO. In fact, since 2009, the USPTO granted more than 31,000 patents in the “Molecular Biology and Microbiology” classification, and about 30,000 in the “Drug, Bio-Affecting and Body Treating Compositions” classification. There has also been a significant increase in recent years in patents granted for medical devices. In 2012, the USPTO granted more than 16,000 patents in that category, a 157 percent increase in five years. On Wednesday June 25, Deputy Under Secretary of Commerce for Intellectual Property and Deputy Director of the USPTO Michelle K. Lee spoke at the BIO International Convention in San Diego, California on the importance of patents in the pharmaceutical and biotech industries. Read Deputy Director Lee’s speech. 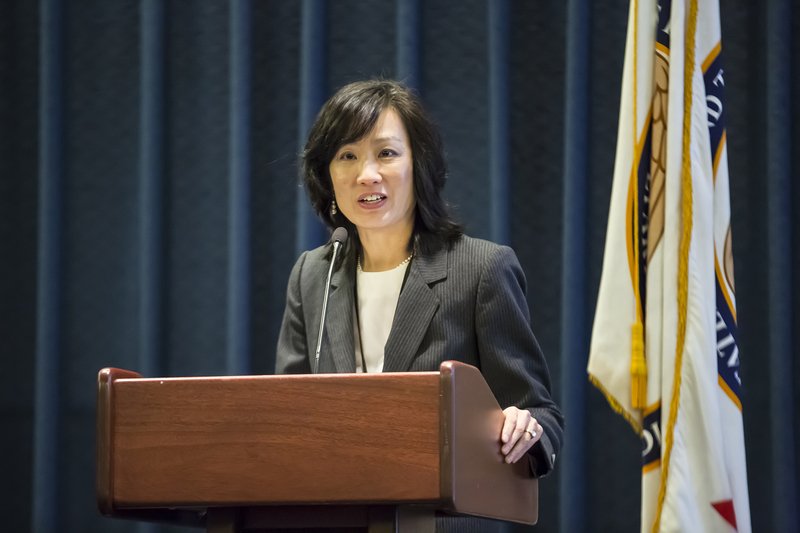 “When you do find that one-in-a-hundred success—that drug that truly works—it’s critical that you have the patent protection necessary to get that drug to market and recoup your investment on the 99 attempts that didn’t succeed,” said Lee. The importance of intellectual property in innovation is exemplified through the pioneers and patent holders who were recently inducted into the National Inventors Hall of Fame, a program managed by the USPTO in partnership with the non-profit Invent Now. One of these inductees, Dr. Richard DiMarchi,has received international recognition for the discovery of peptide-based polypharmacy directed at the treatment of diabetes and obesity. He received a patent for Insulin LisPro, better known by its trademarked name, Humalog®, which is currently used daily by more than a million patients with Type 2 diabetes. Dr. DiMarchi continues to engage in research, and recently said that one of his unachieved goals is to focus on a disease like Alzheimer’s, reduce it to a molecular target, and then design a drug that will work in human clinical studies. Strong intellectual property is key to protecting innovation in the biotech and pharmaceutical industries, and the USPTO continues to work on the White House executive actions to issue the highest quality patents possible, add transparency to our patent system, and level the playing field for all players.